Many people are frightened by the prospect of change because they fear losing control, but that's only because they've mistakenly bought into the illusion that they even have control. The truth, however, is that the only thing you have complete control over in this life is how you respond to the things you have no control over. You cannot control people, the situations they create, or anything else, but you can choose how you will respond to those people and situations. Each person's response to change will be unique, based on what they want out of life (i.e. their goals) as well as what they perceive to be their assets and weaknesses. There is no right or wrong response. You are free to respond in any way you choose to anything that happens to you. What can be applied to and used effectively by everyone, however, is a mindset for change. Having the right mindset for change can help you anticipate, interpret, respond to, and weather the winds of change--and come out on top regardless of where and how the dust settles. My personal mindset for dealing with change is based on a life philosophy that welcomes and embraces absolutely everything that happens to me as being “good.” We live in a supportive universe that bends to our desires to provide everything that we could possibly desire. What that means is that from the very moment you fix your focus on what you desire-money, fame, family, love or whatever-forces are brought to bear that proceed to bring those things to you. In light of this, the two greatest challenges people face is 1. having and maintaining their faith that this is in fact true, and 2. recognizing, interpreting and responding appropriately to the subsequent sequence of events and new people in their lives. In a previous article, I spoke about the “reconstruction crisis” that occurs whenever you start to have new aspirations for your life. Once you start desiring something new, and particularly if you write them down, focus on them, and visualize them as goals, people and situations show up in your life to bring those goals to life. At the same time, people and situations you no longer need in your life are stripped away to make way for the new. It's that stripping away-the deconstruction--that frightens people, makes them doubt their desires, and fall back into their former ways thereby resulting in failure. That breaking down of the old to make way for the new is a necessary part of dealing with change. 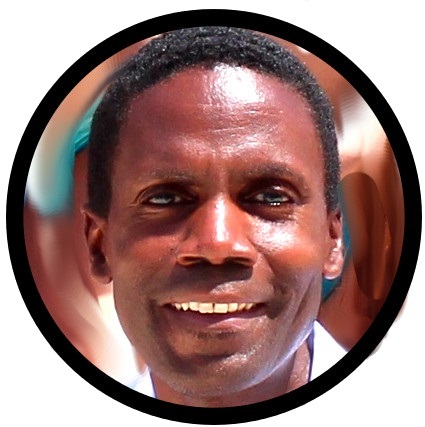 For the reconstruction process to work, however, you must be flexible in your definition of yourself as well as others, free from the fear of what people think about you, courageous enough to attempt new things, and committed enough to see them through despite the challenges and obstacles. To exercise the mindset for change, here's what you do. When presented with change, ask yourself, “Given that this situation exists or seems about to happen, how can this help me to achieve my goals?” Unless you're clear on what your goals are, then it becomes difficult to see how everything that happens to you can help you achieve them. Furthermore, unless you're flexible in how you define yourself, you'll spend your time and energy railing against the change and trying to get things back the way they were rather than adapting to the new environment. When you think about it, it's the only mindset that makes any sense to adopt. It accepts what is, and focuses on what could be. This column as well as the workshop is geared toward business owners big and small. And while there are some proven business strategies, (i.e. cost-cutting, diversification, creating multiple channels of income, consolidating), there's not one cookie-cutter application of these strategies that will apply to every business. However, whether you're selling a single ebook through your blog, or running a factory with thousands of employees, here are some key ideas that you can use to develop your mindset and your own unique strategy for managing change. NEVER, ever let any ONE person be the only key to your success. As I always say to people who get discouraged by rejection, "No one person has the key to every door that leads to success." Just because one distributor won’t carry your product doesn’t mean you’re doomed. Just because the most powerful newspaper in the country doesn’t write a story about your novel doesn’t mean it’ll never be read, unless you believe it. There is always a way to get things done. When you make your plans, think positively and expect success, but always ask yourself, "What will I do if this plan doesn’t work? What’s my Plan B?" Even if it means selling your product yourself on the Internet, or out of the back of a van, there’s a way. Find a way, even if it means having someone else talk to the same distributor about your product. Plan B Thinking" means that no one will ever stand in the way of your success. As Bob Marley says, "When one door is closed, another is open!" When I set my business goals, my basic mindset to achieve it is "How will I use my own talents and skills to get this done? I’ve met too many people whose basic thought pattern is "Who can I get to let me in the door, give me a grant, or finance my business." I’ve always been more of an independent achiever. As a result, I’ve always acted as if everything was up to me. Now that doesn’t mean you don’t rely on others to a certain degree (see #1), but it means you approach success as something you claim and take for yourself, not something that someone else gives to you. No one wants to distribute your product? Great! Then do it yourself! Can’t find someone to represent you? Then represent yourself! Can’t find a publisher to sign you? Then publish it yourself! Perhaps it’s my math and engineering background and the fact that I used to work out problems for extra credit in school, but I always act under the assumption that everything has a right answer. I design brochures knowing that there is one perfect arrangement of words and pictures that will sell the most products. My mission, and yours is to find that right way! 4. It’s Not Necessary to Have Everything In Place Before You Start Selling. It's true, you can sometimes jump directly to sales activities even before you have a product to sell. It's called pre-selling (i.e. taking advanced orders). For many entrepreneurs, this is a way of creating structure in the form of a deadline that keeps them working to get the product out. Don't try this one if you don't like that sort of pressure. This doesn’t mean you should sell junk, or that people will buy garbage. What it does mean is that everything has value to someone else. Just think of garage sales, auctions and flea markets when you think that people may not buy what you’re selling. There's a demand for it! I truly believe this. The idea is reinforced every time I read another story about an entrepreneur who sells a new invention, or an off-the-wall service that’s making a millionaire out of it’s originator. I only have to recall the fact that I, too, bought a "pet rock" when I was a child as a reminder that just about anything can sell if you're creative enough in how you present it. Sure, that one sale could be a fluke. But, if you’ve been able to sell your product to someone other than your mother or your best friend, it’s a good sign. If two people buy it, you might have a winner on your hands. You’ve passed the first test. Most people ask, "Can it sell?" The right question is "What can I say or do to create value in the minds of others to make it sell?" The Slinky, a popular toy for years, was simply a spring from a machine. Value was created for it as a toy, and the rest is the stuff of entrepreneurial legend. When it comes to money, customers, ideas, happiness and even love, many people believe that there’s just not enough to go around. They operate from an assumption of scarce resources. Now the world may not really need another book on investing in the stock market, but every person has his own unique way of doing things, so therefore every person has his own unique audience. As many McDonald’s restaurants as there are in the world, there always seems to be enough hungry people to support another one, sometimes right on opposite sides of the same street. In matters of money, there is, in fact, enough wealth for everyone. Some people will choose different levels of wealth for themselves. But that’s not an indication of scarcity, it’s just a fact. Think abundantly. 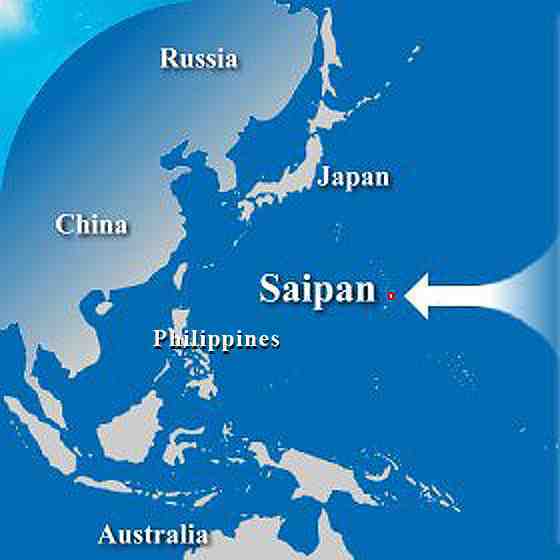 An advantage of being on Saipan is its connection to a huge market in the U.S. which can be sold to via the Internet and the U.S. Postal System. If you can incorporate an Internet strategy to your business and sell products and services beyond the immediate geographic boundaries, you'll be utilizing a very powerful mindset for responding to change. Thinking globally can also mean reaching out to other ethnic/cultural/language groups right here on island to maximize your customer base. Finally (for now, at least), my own philosophy is that the tools and talents for constructing a future of our choosing already exist right here. New products, opportunities, resources, and even entire industries can all be based on things that are right here beneath our feet. Nothing need fall from the sky in order to make it happen. These are just a few of the thought processes and philosophies that can help anyone respond successfully to change. Stay tuned for more!